It belongs to a small old apartment decorated in an eclectic style that mixes vintage and functional elements . 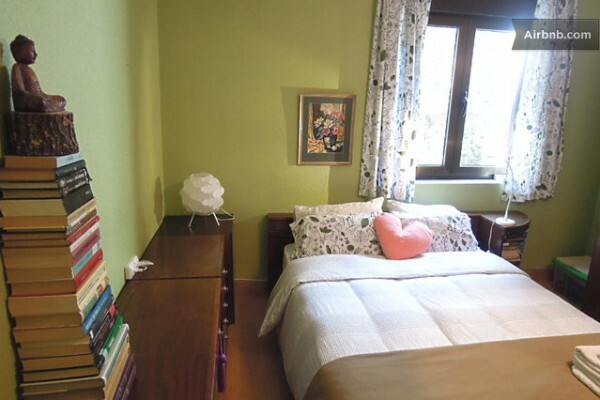 A family space where to stay during your stay in Valladolid , a city steeped in history and beautiful architecture. The room is open and has heating, bedding, luggage space , a module available wardrobe , a table with chairs , Wi - Fi , stereo music with a small collection of CDs and documentation about the city and surroundings. 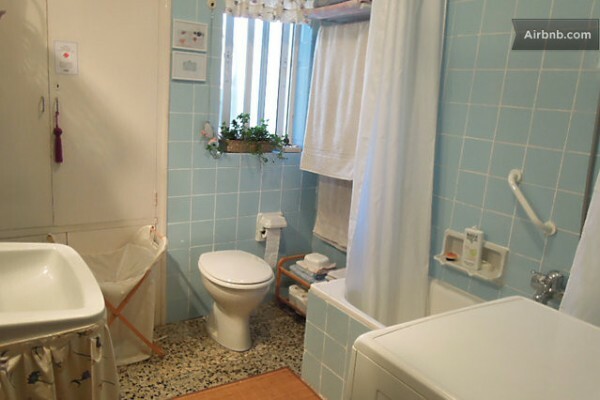 The bathroom is off the bedroom and shared with the hosts. Clean towels changed every two days . Gel , heater and hairdryer. You can make yourself a coffee or tea at any time . If you prefer you can choose home breakfast bread with butter and jam or with tomato and olive oil . We also have cocoa, milk , juice, cereal , crackers and cheese . Unfortunately I do not speak English (but I'm on it ) . I trust you defend yourself in Spanish . At your disposal are brochures on the basic rules of the house in several languages, including a summary of the questions and FAQs. For everything else , we rely on the goodwill of the people , and the mime , which is a great art . Know that in this house lives a pet. A cat named Dorothy . In addition to your room and the bathroom , you can use the kitchen to make tea or coffee, and have a space in the fridge for your own drinks . You can also relax in the lounge or browse any of his books . Find enclosed rooms must remain closed . They are used exclusively by the hosts , so we thank you that preserves your privacy in the same way that they respect yours. This is a quiet neighborhood that has the advantage of being well connected to the city center. 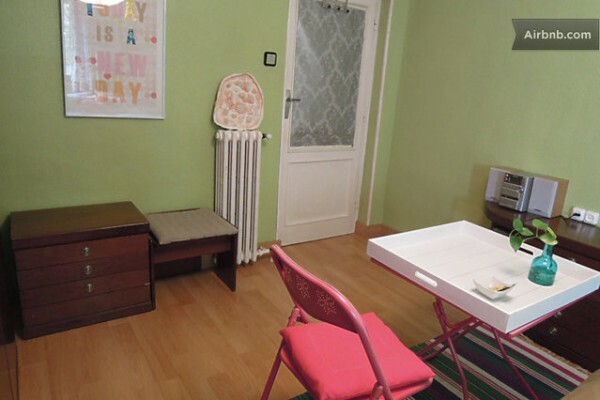 The flat is located in the neighborhood of a large park with trees and playground. So we have enough light and there are no buildings that compromise privacy. Two blocks away is the river Pisuerga. Your bank has a scenic ride that takes you into the city center in northern direction . A few meters have two large shopping centers where you can make your purchases : Vallsur and the English Court . Also close to the Plaza de Toros and the train and bus stations . The public transport links are located just a few steps from the building , with various bus routes covering multiple routes. Good connection with bus tour through the city . You will have city guides and maps to help you navigate with ease. Allergy Information : In this house lives a pet cat. Double room for two persons with the right to self-service breakfast. No experiences yet with Doble con encanto / Charming Double. Be the first! Did you stay in Doble con encanto / Charming Double? Let us know what you thought about it and help others to make the right choice! * I confirm having stayed in Doble con encanto / Charming Double. 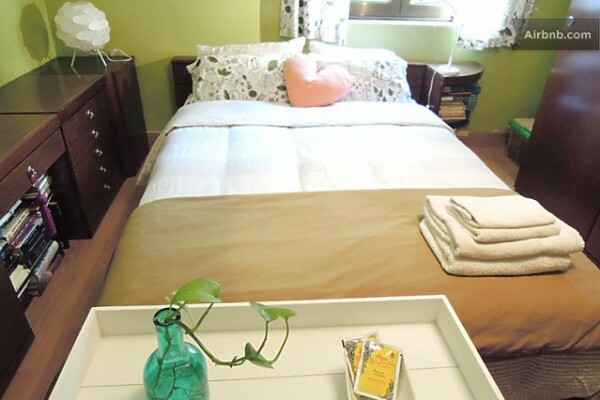 Find other bed & breakfasts in Valladolid or all bed & breakfasts in Castile and León.